Wow! What a thrilling ride Lamaitre took me on with Alex! The very first pages grabbed my attention and didn't let go until the final pages were read. It was not only suspenseful, but only emotionally impacting. I empathized with Alex in the beginning, then I despised her and then I empathized with her again. I was shocked with some of her decisions yet I also cheered for her. Camille, the investigator, was a great character as well. Given a big case after being out of the loop since his wife was murdered was, at first, a conundrum for him. But eventually, it became just what he needed to get closure in that chapter of his life. A very intelligent man who surprised me on many levels. 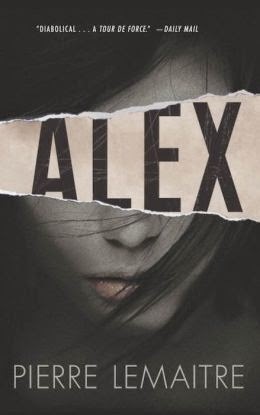 Alex is not only a thrilling suspense, it also packs a punch with it's gritty writing and no-nonsense characters. The plot pivots many times, taking the reader on a roller-roaster of a ride that leaves one breathless; with fear, shock, hope and more. I will be reading more of this author's work in the near future.